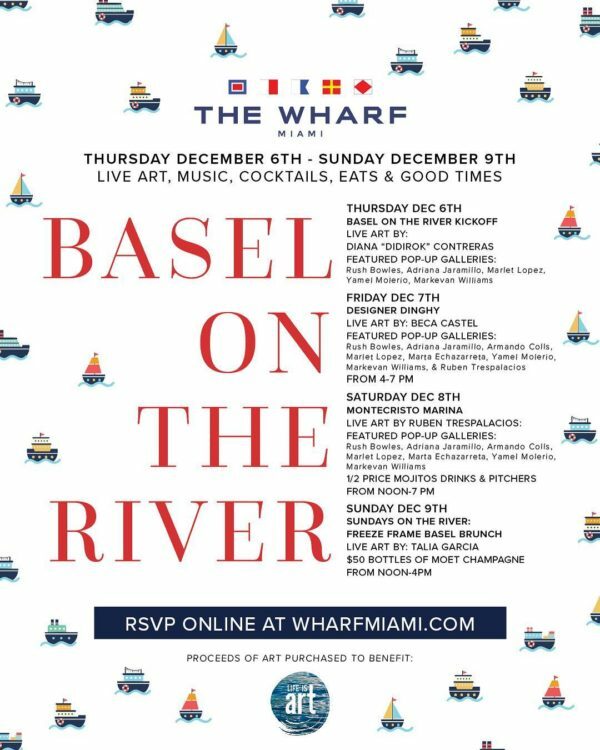 Join Life Is Art at The Wharf for Basel on the River! 7pm-11pm ‘Designer Dinghy’ featuring live art by local artist Beca Castel! Witness as she brings our full-size dinghy to life with a custom Mural!